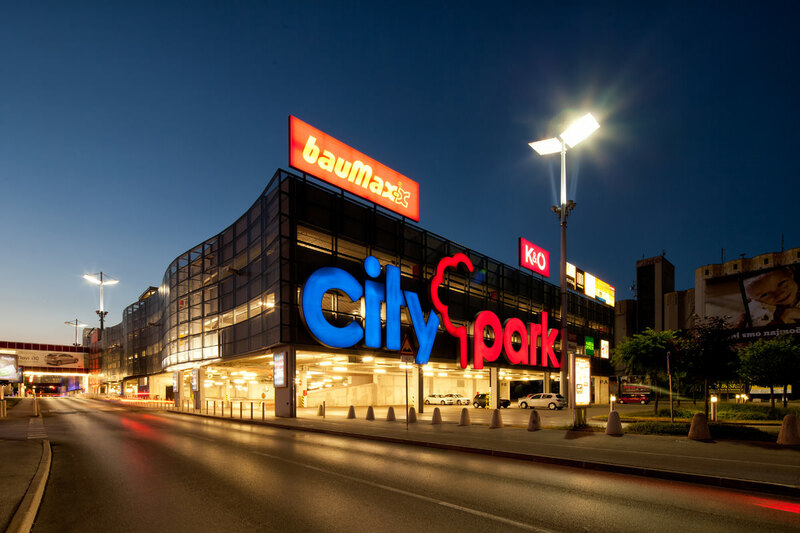 Just a few steps from Urban Hotel – a visit to the old city centre of Ljubljana on a sunny day offers you a perfect opportunity to do some shopping at the Central Market or an outdoor fair. 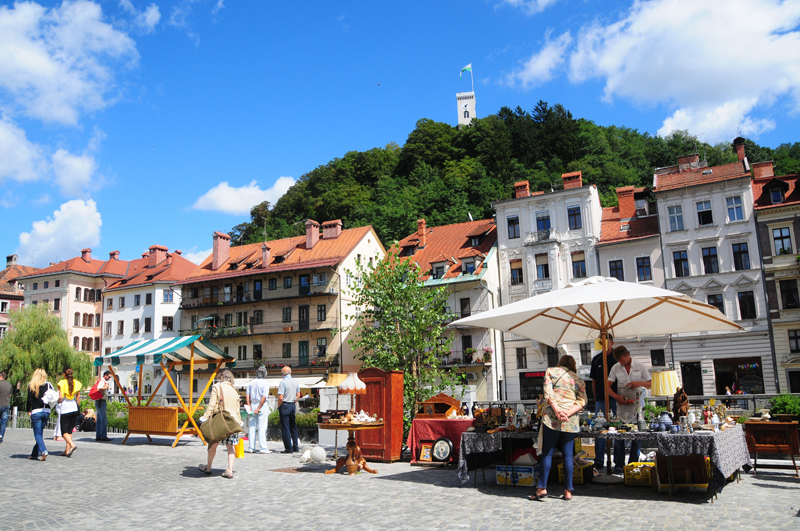 Ljubljana’s picturesque Central Market, designed by the architect Jože Plečnik, is a place where Ljubljanians go not only for shopping, but also to meet friends and acquaintances and enjoy themselves together. 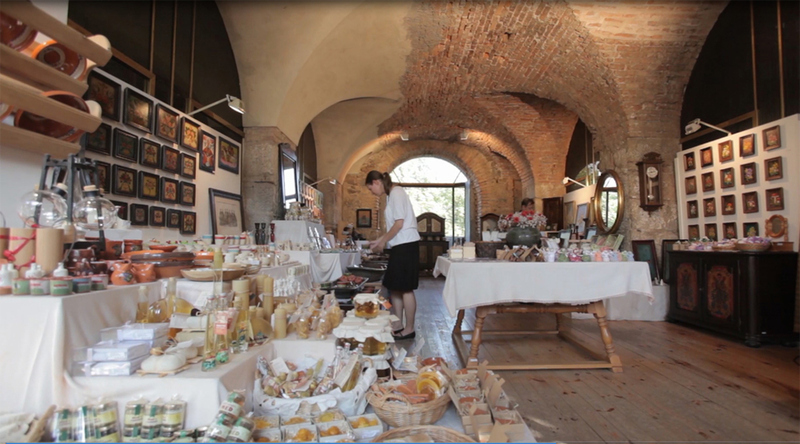 The market sells fresh vegetables, fruits, herbs, bread, cheese, cottage cheese, meat and other foods as well as gifts items and souvenirs. The Central Market occasionally hosts events under the title of The Countryside in the City, dedicated to presenting produce from Slovenian farms. 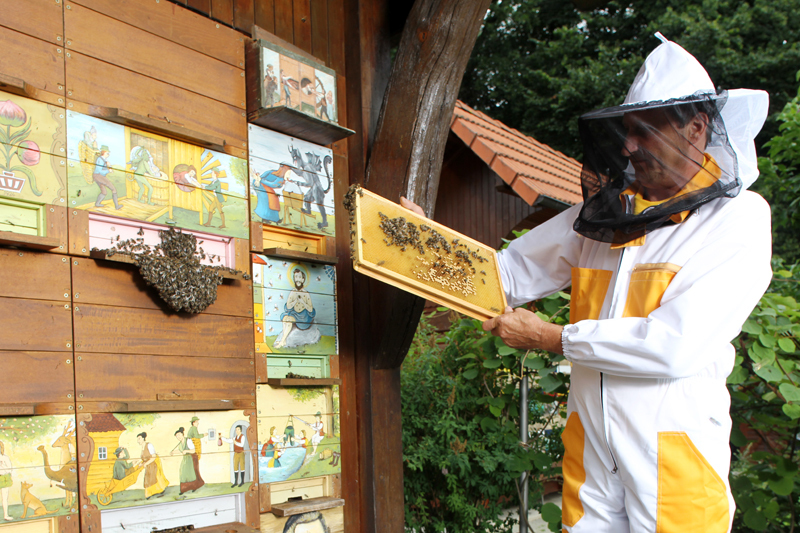 If you are more into traditional fairs, a short trip to the countryside might be a good idea. Bits of history are spread out for you to choose from at the Antique Flea Market, set up on the Breg embankment on the river Ljubljanica on Sundays. 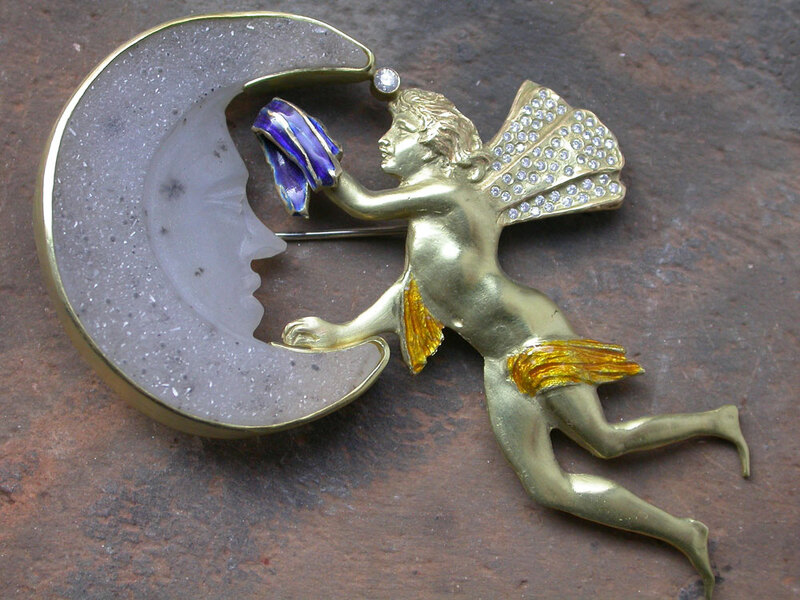 The choice on offer is varied and interesting, and you never know what you might discover. 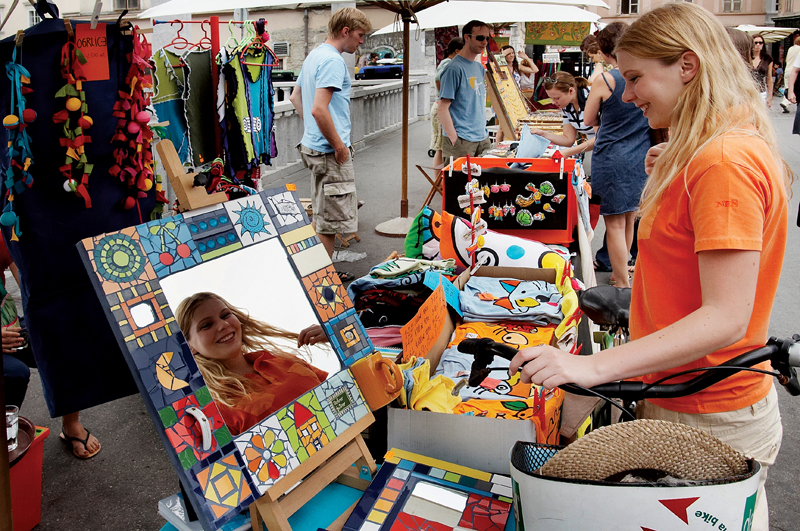 On Saturdays during the warm months, the Breg embankment hosts the Art Market, where original and creatively designed products are being sold and often also created by Ljubljana’s artists and craftsmen. In addition to that, each last Saturday in the warmer months is reserved for ARTish, a creative festival, featuring a selling exhibition of original works by Slovenian creators. 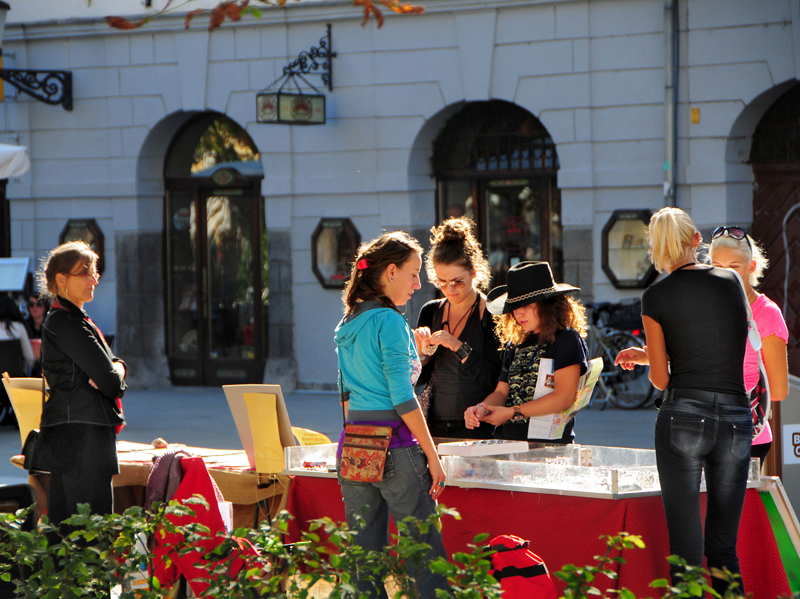 During spring and summer, the vibrant Ljubljana Old Town also hosts several occasional fairs, which offer anything from original art and designer items to traditional and contemporary arts and crafts, books, and medieval-themed souvenirs. When the weather is fine, old city centre shops join in the atmosphere and display their merchandise on streets stalls. During Christmas time, the Breg embankment traditionally turns into the venue for the Festive Fair, where beautifully decorated green stalls, designed specially for the fair, sell a fine selection of products suitable for giving as gifts, while the fair’s surrounding area hosts all kinds of free festive events.